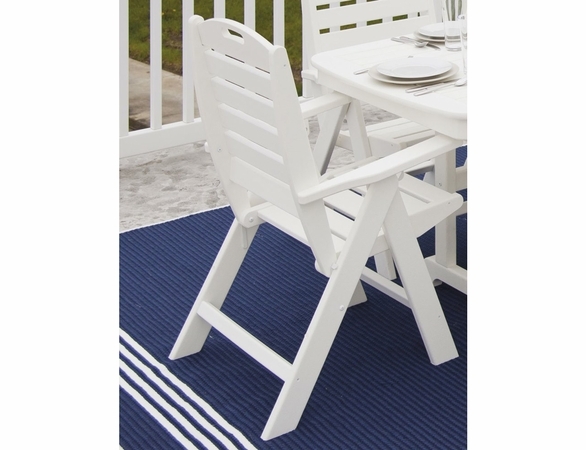 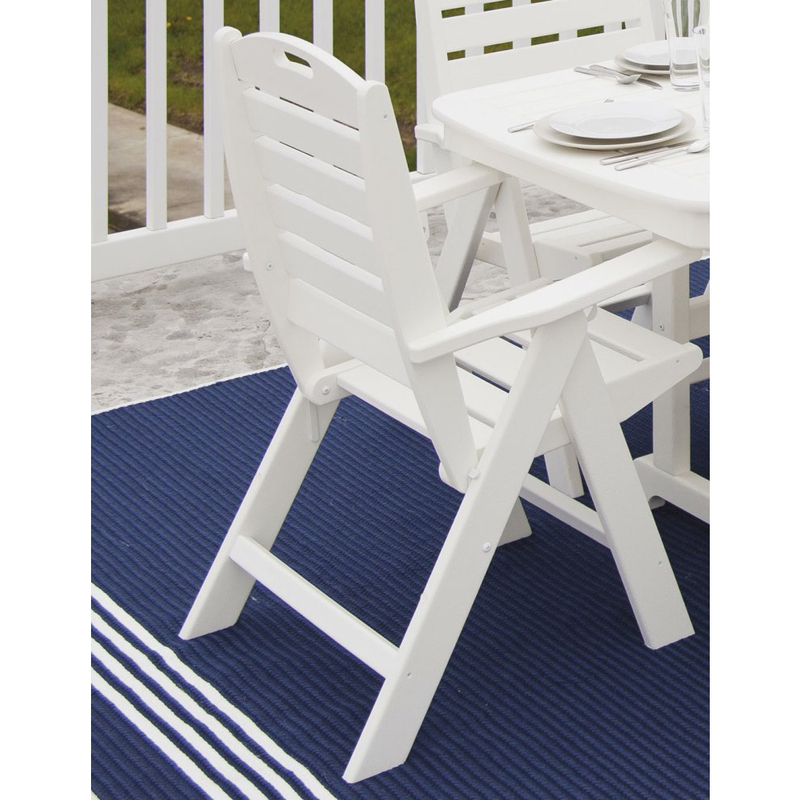 The POLYWOOD® Outdoor Nautical Collection merges style, comfort, convenience and sustainability. 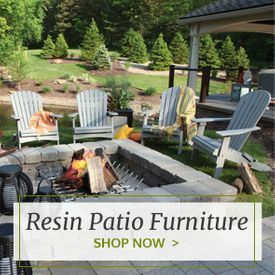 This high back resin chair is made from recycled waste materials that are turned into high-density polyethylene, a material that is resistant to corrosion from oil, household chemicals and salt spray. 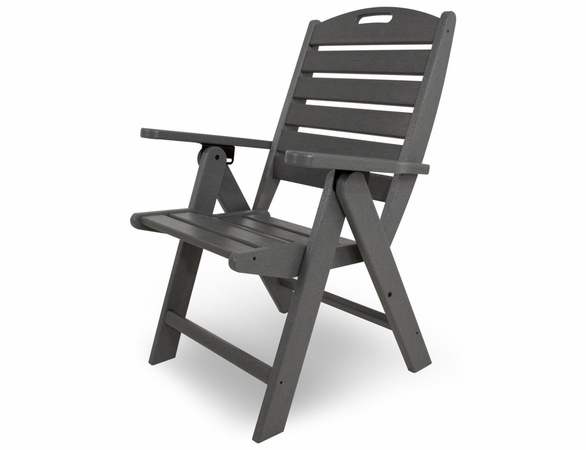 It doesn't crack peel or splinter and it's easily cleaned. 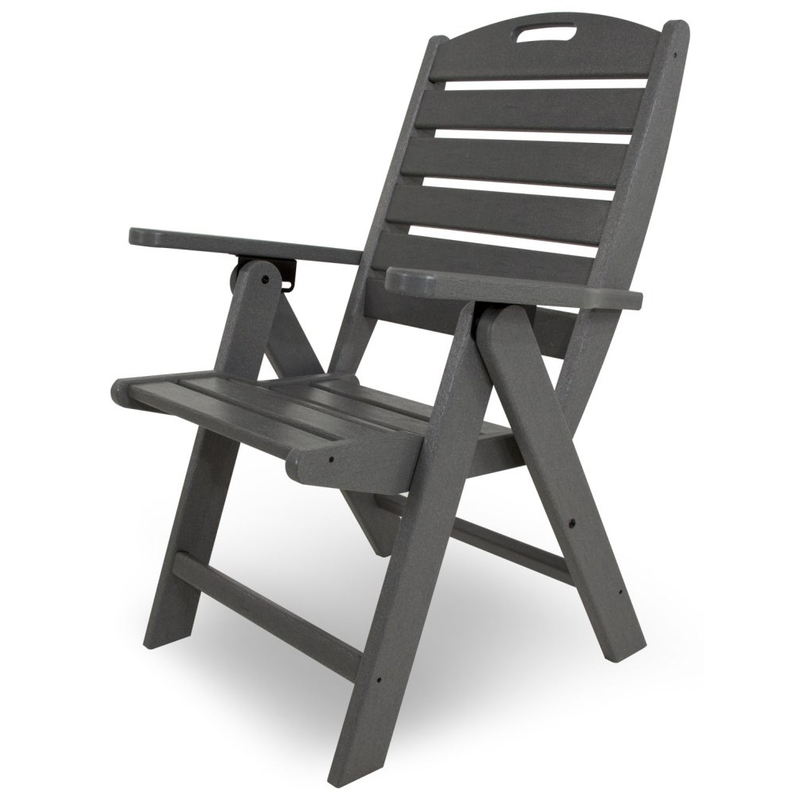 What's more, these high back reclining nautical chairs are foldable for easy storage. 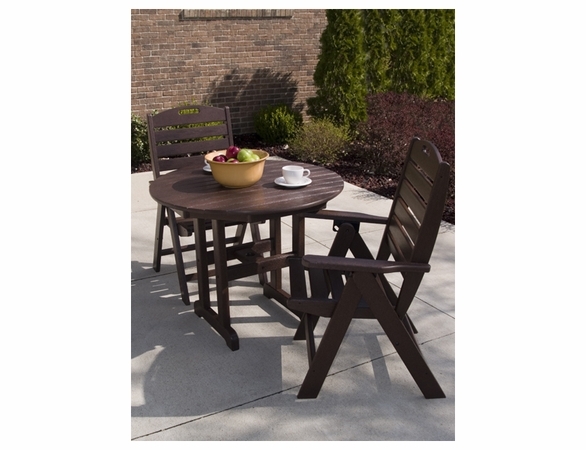 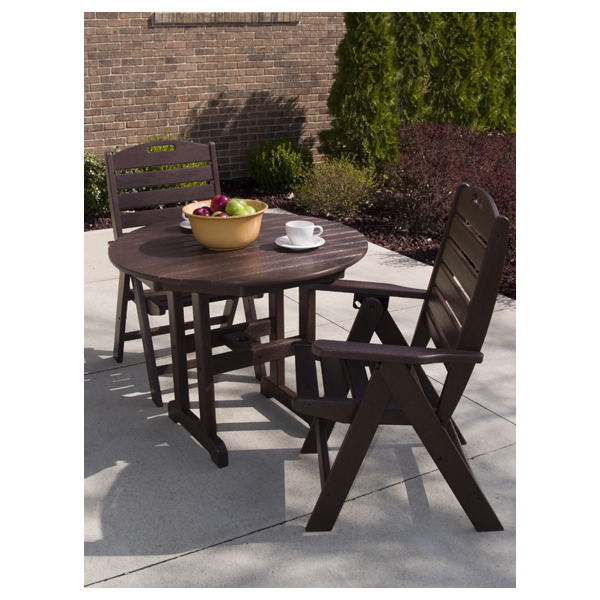 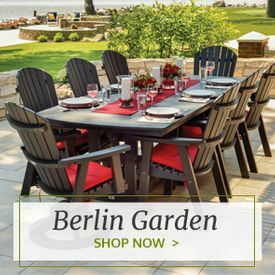 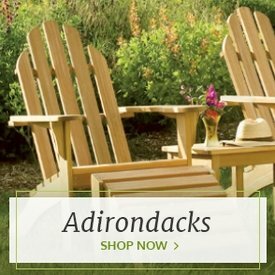 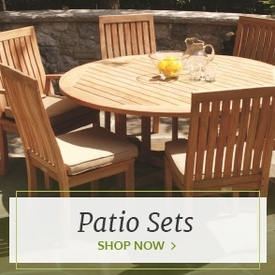 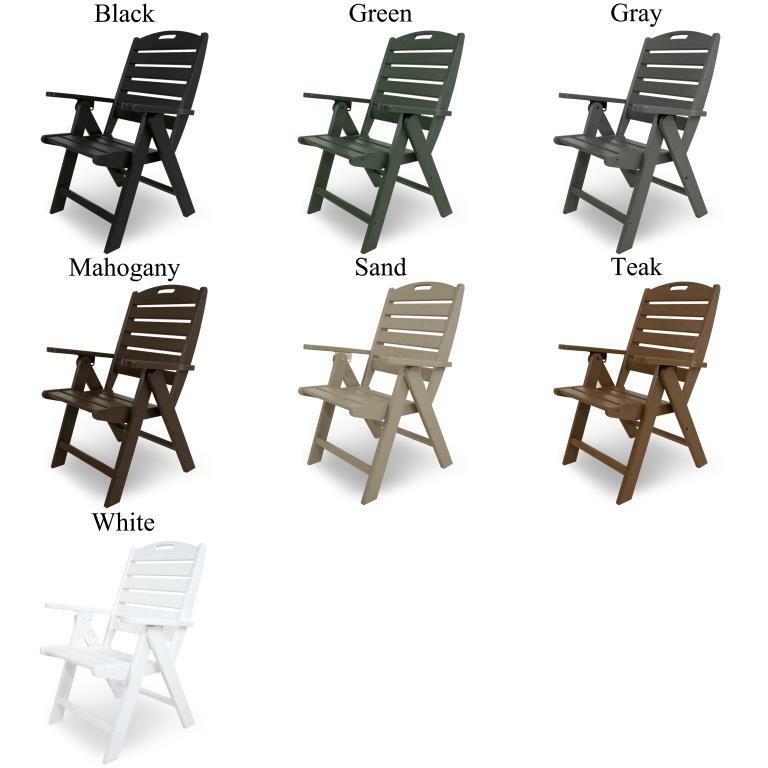 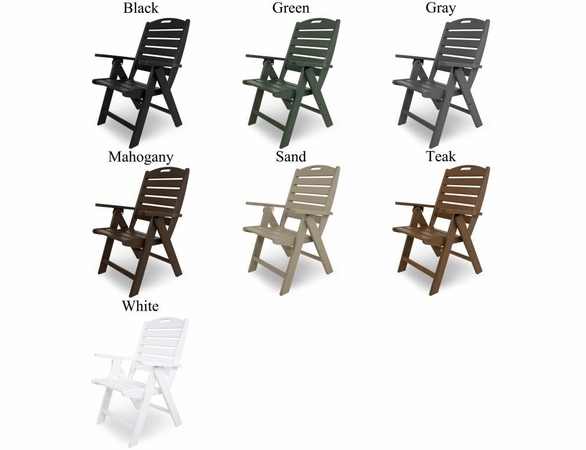 Outdoor Furniture Plus gives you free shipping on all orders more than $100, making these chairs a great value. 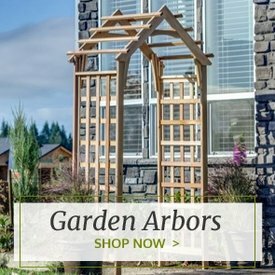 W: 25.50" x D: 25.75" x H: 38.5"